How was your week? I hope it was stressfree, productive or just peaceful. Mine was quite ok, sometimes it’s hard to come up with good content if not much has happened in your week. Do you feel me? 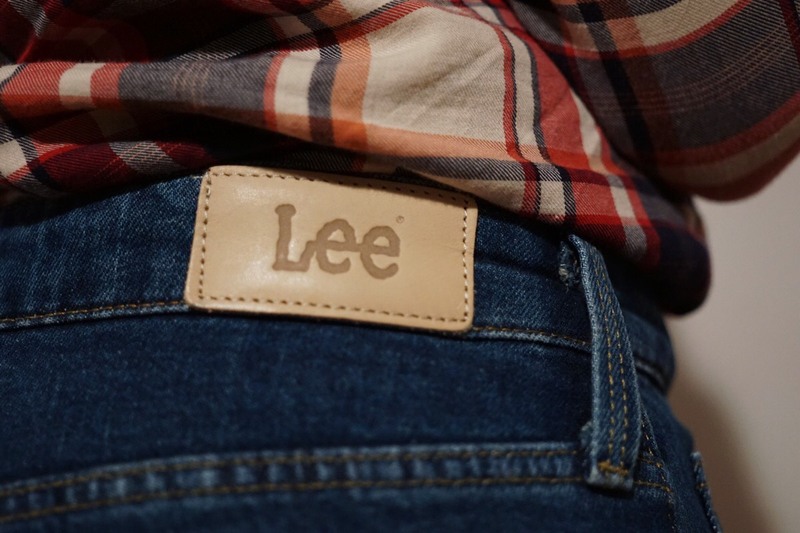 A few days ago, I found the perfect jeans by Lee (Lee Mom Tapered Jeans slim fit, to be specific). So I thought I would write a post that can help some of you who are on the hunt for a new pair of jeans or the people who are looking for the perfect one. In addition, I want to share with you why I like these jeans and a few helpful tips. First of all, I am in between the average and tall section height for jeans because I am 176 cm (5’7) tall. When I buy jeans in the average section they tend to be too short or too long when I buy them at the tall section. Sometimes they tend to be too loose or too tight in the hip area. Where shall I start? 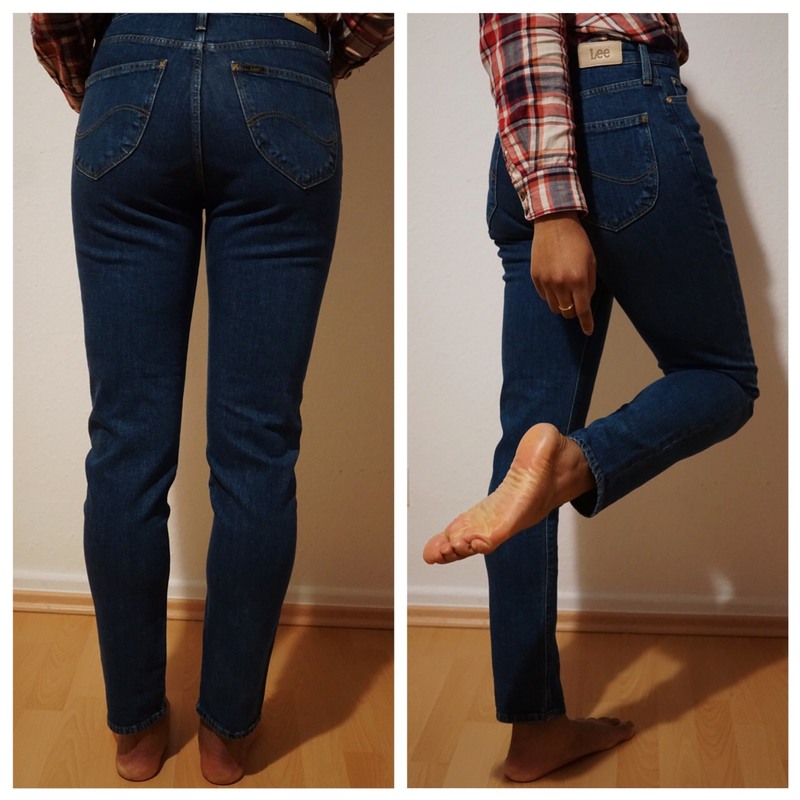 This slim Lee Mom Tapered Jeans in dark blue has the perfect leg length for me personally. You might think it is a bit short for my legs but I am fine with it because that is what I have been looking for so long. It might cost a bit more but I’ve wanted jeans that I can wear for almost forever. made out of 98 % cotton and 2 % spandex – enough stretch for me! If you have the patience – please, go to a store and try as many jeans as you like. I personally, don’t like going to the store to shop for jeans because I don’t like to try it on there. I prefer to order jeans online and take my time at home to try them on in natural lighting. Then, I send the ones back that don’t fit me. I found it much easier. If you are buying your jeans online – sometimes shops put information of the jeans size that the actual model is wearing. This is great because this might help you with sizing. After you choose the right jeans, wear it for a whole day. If you can move freely and feel comfortable, then you are fine. Lastly, try to buy jeans between 100 % and 98 % cotton. Why? Because those kinds of jeans don’t usually lose shapes and they mostly have a better quality than the ones that are made of a higher percentage of spandex or polyester.